$90,000, the company must sell 5,000 units of the product. 22. In order to reach a target profit of $180,000, 90,000 units need to be sold. 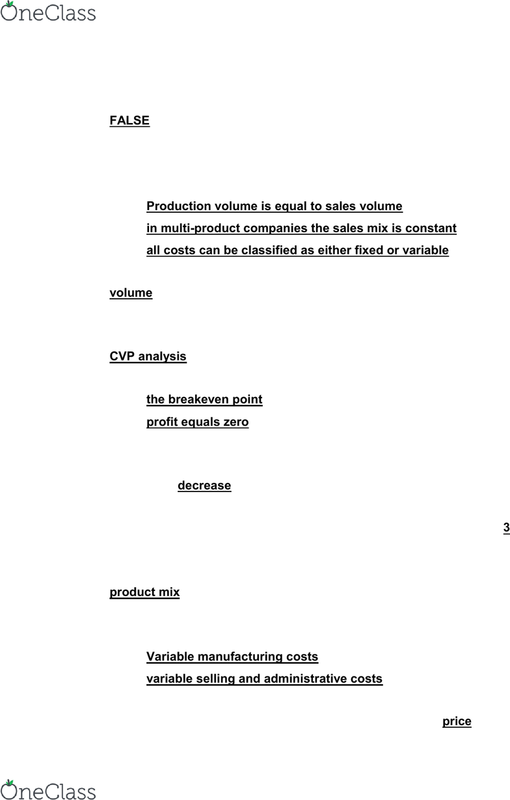 True/ false: cvp analysis is only used for breakeven and target profit analysis: Production volume is equal to sales volume in multi-product companies the sales mix is constant. Cvp analysis: cvp graph indicates: the breakeven point. 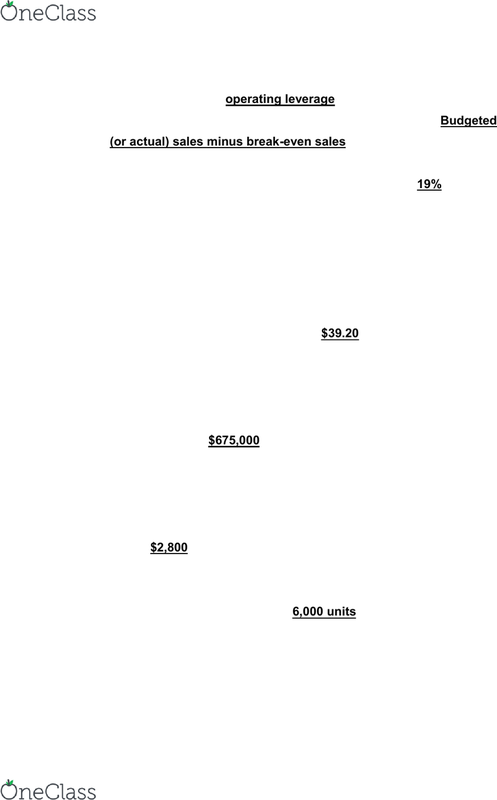 ,000, and sales of ,000 has a degree of operating leverage of: 3. Learnsmart chapter 6: cost-value profit analysis: a company sells a product for per unit and has a contribution margin ratio of 45%. ,000/0. 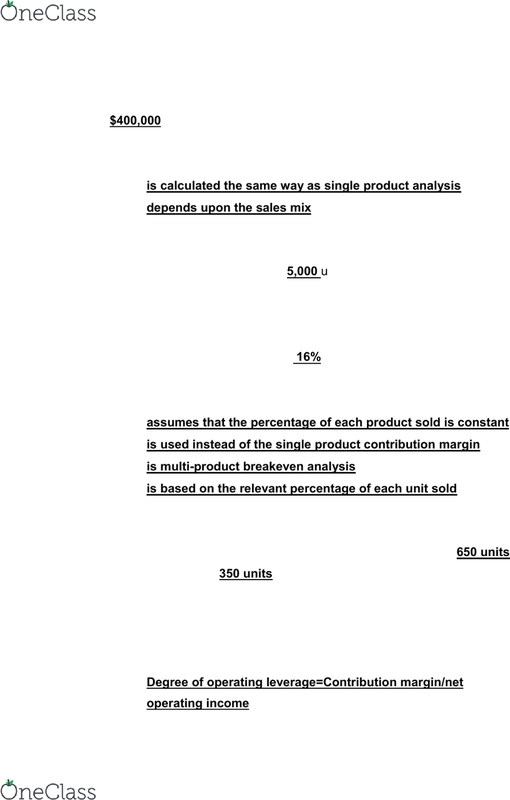 45=400,000: multi-product target profit analysis: is calculated the same way as single product analysis. Depends upon the sales mix: a company sells its products for per unit. In order to reach their profit goal of. ,000, the company must sell 5,000 units of the product. (50,000+90,000)/(40-12)=5,000 units: jump-it corporation has a margin of safety of ,000. 272,000/(100,000x17)=16: the weighted average unit contribution margin: is used instead of the single product contribution margin. Of the sales, 65% are product xyz and 35% are product tdw.